I changed to this moisturiser a few weeks ago and it’s been great. Feels lovely on contact with the skin, doesn’t feel oily or heavy and definitely has a soothing effect. A small amount goes a long way. I previously had some issues with dehydrated skin and this seems to be tackling that quite well. This moisturiser does exactly as it says and it smells incredibly good. It feels so good on my skin, keeping hydration during the day very homogeneously. It's also lightweight so very easy to apply and it doesn't feel heavy at all if you need to apply makeup on top. I have dry skin prone to extreme break outs and angry, red patchiness. 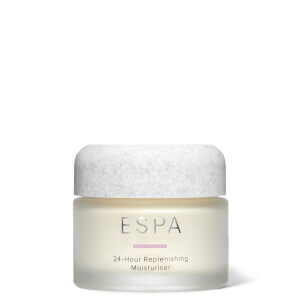 I switched moisturisers as an experiment from the replenish ESPA range to this optimal skin and have noticed further improvement in my overall complexion in just 2 weeks. The cream itself is light on application and well absorbed by the skin. I can't recommend enough! I’ve used many moisturisers, mostly expensive ones but felt I just wasn’t getting the hydration. ProMoisturuser is the best I’ve ever used! Consistency is quite runny so be careful when opening the pot and make sure you’ve got the lid on when finished. I warm it in my hands and tap it on my face. It feels amazing, smells amazing and I just love it! I’ve got sensitive skin and prone to brake outs on changing products but so far nothing and that’s been a week of using. Love love love! 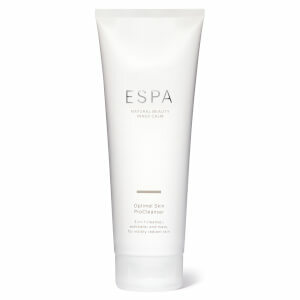 I was introduced to ESPA at a late stage in my life. Wow this was quite simply astonishing! After a short while I noticed a change in my complexion that I couldn't believe. I now not only use the day cream but also the night cream as well. My family have commented on the change, especially my 15 year old granddaughter! My 2 daughters are quite amazed but...I haven't let them into the secret just yet!!! I told them it was just lots of water drinking. I will tell them at Christmas! 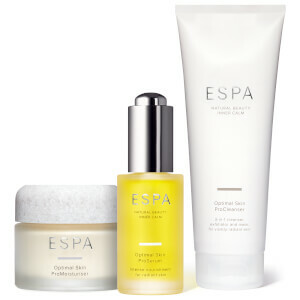 ESPA you have changed my life. 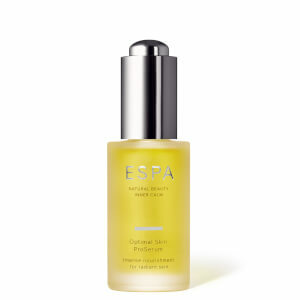 Thank you and I wish everyone at ESPA a great Christmas. I really love the scent and the fact my skin absorbs it well without feeling greasy but I’m still trying to like the consistency of it, it’s a tad too ‘gloopy’ for my liking. I may switch back to the 24hr hydration cream purely based on consistency. I have been using this moisturiser for about six months now and my skin looks the best and is the most settled it's ever been. My skin is sensitive and prone to hormonal breakouts but since using the Optimal Skin moisturiser, it is calm and clear and never feels dry. The cream is light and smells wonderful. I use the whole Optimal Skin range and it is fantastic; I can't praise it highly enough. I tried this as a free sample some time ago now and recently decided to take the plunge and purchase a full size jar as I loved the way this cream made my skin look and feel. I have not been dissapointed, this cream is just gorgeous.. its light weight, absorbs in well, non greasy, smells great and delivers on its promise! Im 41 soon to be 42 and have started getting some visible wrinkles in my forehead with make up settling in and i am convinced this cream has helped reduce the appearance of them as my make up no longer defines them! Overjoyed!